Creekside Business Park is a master planned professional business park by Wide Hollow Development, LLC, located along the waters edge on Wide Hollow Creek northeast of Washington and 40th Avenues. Distinctively designed from the infrastructure on up to include the newest communications systems such as fiber optics, three phase power, and parking ratios sufficient to accommodate the high volume service industries. 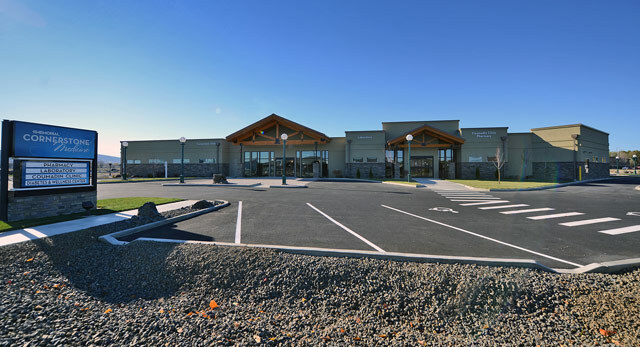 Creekside Business Park will be the premiere professional office and medical facilities location in the Yakima Valley. Deciduous and non-deciduous trees and bushes together with wide sidewalks landscape both sides of the wide boulevards to create a natural "park-like" business environment. A creekside walking trail with a picnic area winds along the southern side of Wide Hollow Creek for the enjoyment of the businesses and their guests.